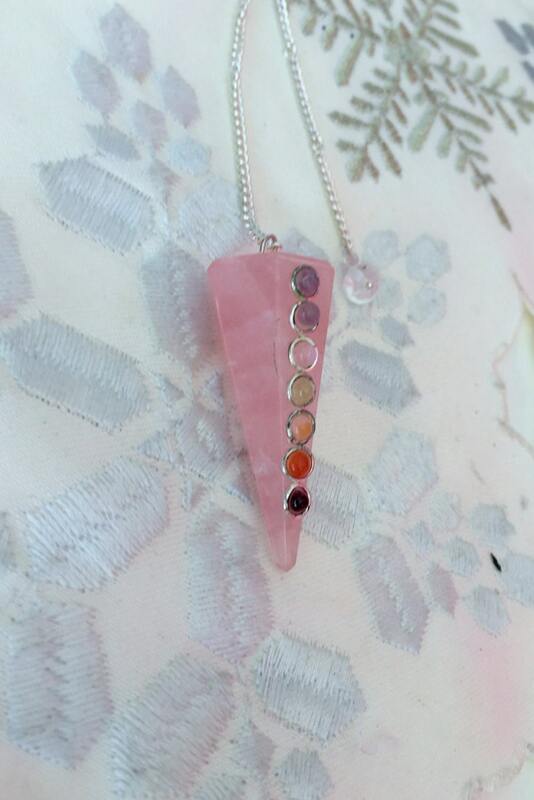 This Rose Quartz Chakra Pendulum has a nice shade of pink with 7 chakra cabochons decorate the front of the pendulum- as seen in the pictures. 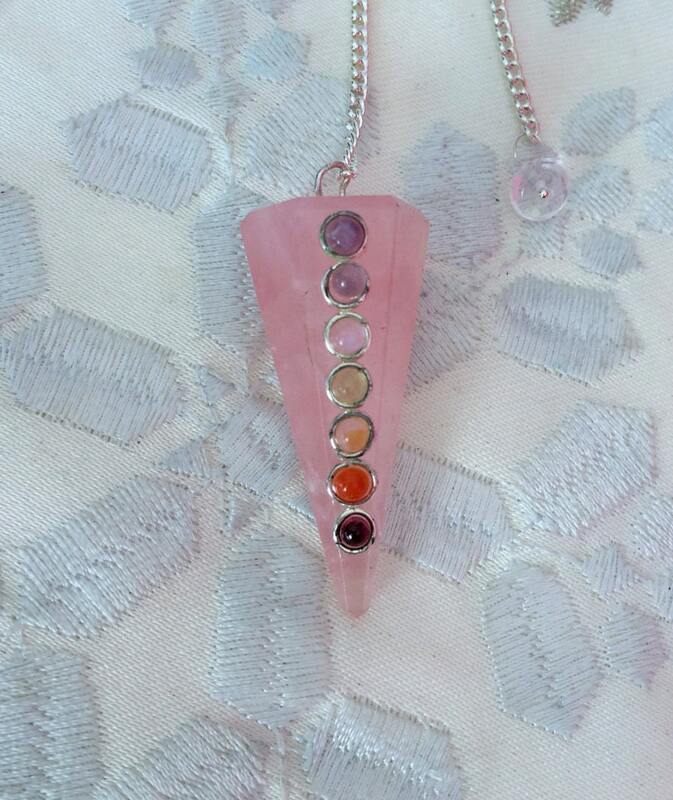 Listing includes a similar pendulum or pendant with a necklace. Responsive seller and my order arrived quickly. Item received as described.